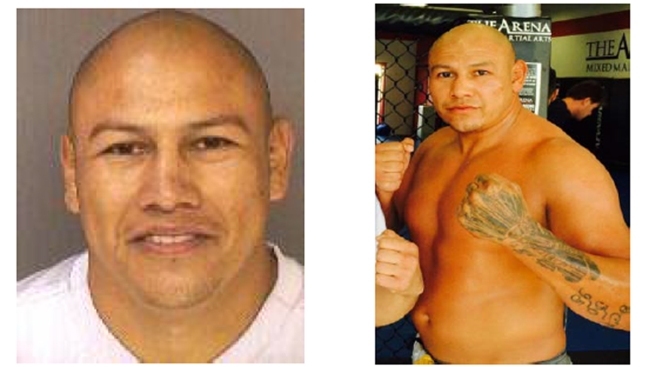 A man who has coached boxing and MMA athletes in San Diego for years is wanted in connection with a homicide. He's said to be armed and dangerous. Images of Ernesto Castellano Martinez, 41, from San Diego Crimestoppers. There is a $1,000 reward for information leading to an arrest. The family of a man murderd last month in the Midway District is offering an $8,000 reward for information leading to the arrest of their loved one's accused killer. Ernesto Castellanos, 41, is wanted by San Diego police in connection to the murder of 27-year-old Alexander Mazin. Crime Stoppers is also offering up to a $1,000 reward for information in the case. Mazin was found suffering from gunshot wounds to his upper torso behind the 24-Hour Fitness on Midway Drive and Kemper Street at around 11 a.m. on Feb. 28. He was pronounced dead at the scene shortly after. Ernesto Martinez is suspected in a man's shooting death outside the 24 Hour Fitness in the Midway District. NBC 7's Megan Tevrizian has more. 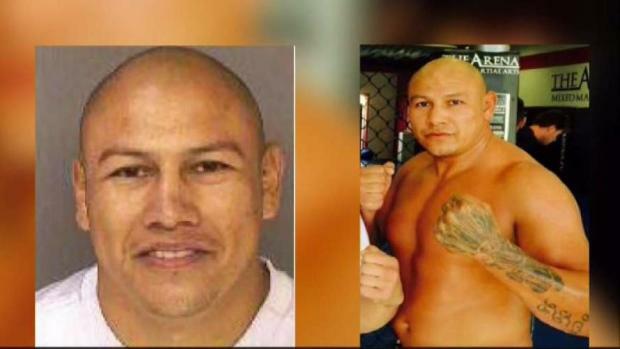 San Diego Police Department (SDPD) homicide detectives determined that Castellanos, a boxing and mixed martial arts coach well known in the community, shot Mazin and fled the scene. 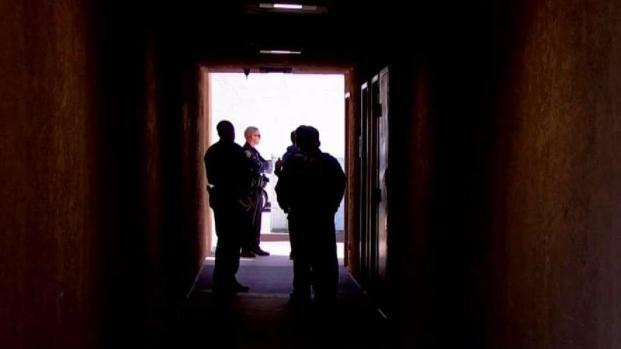 A SWAT team surrounded an apartment complex in North Park where Castellanos was believed to be holed up. Hours later, after obtaining a search warrant, police confirmed the suspect was not found in the apartment and they weren't sure how he escaped. Police say Castellanos knew the victim but police won't elaborate on the relationship more than saying the connection was the mother of Castellanos' children. Castellanos is described as 5 feet 10 inches tall, 185 pounds, normally bald with brown eyes. His full name is Ernesto Castellanos Martinez but is known as Ernesto Castellanos, according to Crime Stoppers. The department is asking anyone with information regarding Castellanos' location to contact the Homicide Unit at (619) 531-2293 or Crime Stoppers at (888) 580-8477. The suspect allegedly fatally shot a 27-year-old man in the Midway District. NBC 7's Mackenzie Maynard reports.